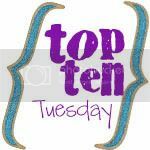 I must say I look forward to blogging for Top 10 Tuesday. So fun! Since our good friends Jesse and Rhonda are going to meet their little baby girl they are adopting tomorrow (scheduled to be induced), thought adoption would be an appropriate topic, and one that is dear to my heart. Our cutie boys Asher and Uriah are both adopted. Our frends George and Cara and their cutie kiddos adopted from Haiti. God used the earthquake to get them home 2 years earlier than expected. Baby Asher with a sleepy daddy. 3. You get to be a visual of how God has adopted us when we admit our need for Him and gave Him the control of our life. At that moment, He made us His children and gave us an eternal inheritance. 4. You get to have a bigger family and all the beauty that comes as a result. (also known as Asher's princess) who is also adopted. 5. You get to see God come through financially. Where God calls, He provides. So He provides when people decide to take the risk in caring for the little ones He desperately cares for. Both of the boys adoptions are completely paid for! God totally came through! a year after Asher was born. 6. You get the joy of providing a child with a healty family structure. 7. You get to minister to God. He says that whatever we do for the least of these, we do for Him. Our friends Mike and Karin with their cutie sons. Their son Titus is going to have a little Korean sister soon! 8. Like Mike and Karin, you get to choose if you want a boy or a girl. 9. You don't have to deal with morning sickness (which was not limited to the morning or the first trimester when I was pregnant with Eden) or postpartum despression. 10. And lastly but wonderfully, you don't have to go through labor. Awesome! PS This Sunday's Link Up (Reflection SONday, a time to brag on God) link your stories of how God came through in adoption. What a lovely and inspiring list! Beautiful list. I love so many of the truths -- and I love the pictures to go along with it. Wow, I love this list. We are working with DSS now to adopt! Sorry about the previous comment - I pressed enter too soon. This list is beautiful. So very beautiful! I think adoption is so amazing and it's spoken about often in the Bible. I'm so glad that God put these precious children in your arms. Awesome post!!! Loved your pictures. My sister and her husband are going through the adoption process right now...so amazing to give children good homes that need one!! This is such a beautiful perspective. Adoption has been on my heart for the past many months, and I pray God will lead us in the perfect path (timing, direction, finances) if this is His Will. Thanks for your encouragement! GREAT stopping by from OhAmanda! I loved reading this list of ten! Adoption is very near and dear to my heart, as one of our daughters (after 10 years of being childless and having numerous heartbreaks trying to have a child) now is the happy mother of twin boys, adopted when they were three months old!! Thank you all. I can not wait to hear/read your stories!! They are always such incredible pictures of God's heart.